Further to our meeting on 14 November, and in light of your recent consultation on pension dashboards, we would like to formally raise the growing issue of consumer detriment in member-initiated defined contribution to defined contribution (DC to DC) transfers. Under primary legislation, providers have up to 6 months to release client funds, as laid out in Pensions Scheme Act 1993 s99(2)(b). Many providers seem to be deliberately abusing this timeframe for their own commercial advantage, refusing to release funds for many months when a member asks to leave. In the meantime, they earn more fees, hopeful in the knowledge that by bombarding a member with requests for information they can deter switching completely. Indeed, give-up rates among consumers are over 70% when dealing with some providers. Consumers are accustomed to switching guarantees across energy and banking. DC to DC cash pension transfers, the vast majority that occur, are no more complicated than current account switches. In fact, Australia has a 3-day switching guarantee for DC to DC transfers. Established technology provided by Origo Options exists to securely transfer pensions in under 12 days and is widely used by Financial Conduct Authority-regulated businesses. However, there is a group of stubborn administrators (generally of trust-based schemes) who refuse to adopt it. Our transfer data shows it can take anywhere from 2 to over 150 days to move a DC pot. Sometimes it can take 198 days. We have cases that have taken years. These delays are particularly frustrating for those seeking to exercise their options under Pensions Freedoms. Data based on total sample size of 27,465. Providers below each have a sample of over 50 transfers and an average transfer time of over 30 days. Very recent members of Origo Options excluded. When a member tries to switch or consolidate their pension away from these trust-based administrators they will have numerous barriers in the form of internal ‘checks’ placed in front of them. These can include: requests for original birth certificates and / or marriage certificates to be sent by post, multiple sets of confusing discharge forms to be completed and returned by post, call waiting times of over 90 minutes and months of back and forth to get through a never-ending series of checks. These checks are presented as ‘necessary’, but in fact are not required by any Regulator. This is because nobody regulates the administration of occupational schemes. In fact, it can take a member around 8 hours, per transfer, to overcome all these barriers. We estimate the total cost of UK savers of paper transfers stands at £1.05 billion and is only set to increase as assets of trust-based schemes grow through auto-enrolment. This impacts 10 million people and the number is growing. 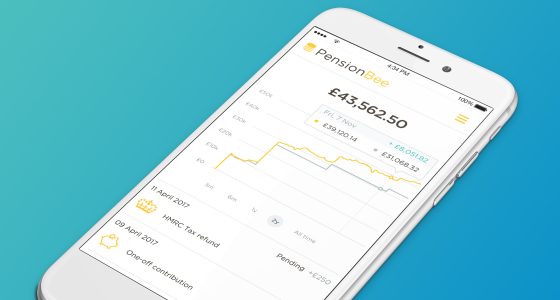 PensionBee believe the behaviour of these administrators undermines confidence in the entire pension industry, leading to lower savings rates and wide-scale disengagement with pensions. Additionally, an inability to switch leads to restricted choice, a lack of product innovation and higher fees for everyone. These outcomes are inconsistent with the objective of the DWP to give people ownership of their savings. We ask that you hold the industry to account and demand to know why in the 21st century these providers can continue to hide behind archaic systems and post to prevent 10 million savers from moving their funds to their provider of choice. Trustee powers - claiming trustees do not have power under pension scheme rules to amend or change the frequency of all processes that affect the time it takes to process transfers. Cost - claiming the cost of getting scheme data into a compatible format to allow electronic transfers is prohibitively high and spending this money is not in the best interests of members. Neither of these claims are true. First, the trustees do have the power to amend the rules, but they may not do so because they are often being advised by consultants who work for the same firm as the administrators of the scheme. The Competition and Markets Authority is currently investigating conflicts of interest in the employee benefit consulting industry. Second, no scheme has ever shared a cost-benefit analysis that manual transfers are cheaper than electronic transfers. A DWP study in 2012 estimated that manual transfers cost around £105 each, whereas electronic transfers can cost less than £1. For smaller schemes set up costs could be prohibitively expensive, but not for large schemes and administrators where the long-term cost savings would quickly outweigh the set-up costs. In light of the ongoing master trust authorisation process, many of these small schemes will be removed from the ecosystem or subsumed by larger ones. In terms of the effort required to clean data, this will need to be conducted anyway for the pensions dashboard initiative. There’s simply no longer any legitimate excuse to delay, other than commercial interest. We formally request that you act in the interest of 10 million savers and request a cost benefit analysis from the major trust-based administrators on manual transfers, and specific legal reasons why trustees refusing to adopting electronic systems is in the best interests of members. We also request that you formally launch a consultation on a 12-day pension switch guarantee for DC to DC transfers. We are concerned that voluntary industry initiatives have gotten no further than vague guidelines that few of the culprits intend to adhere to and will only be adopted by those who are already compliant. I look forward to discussing this further during your visit to PensionBee on 10 December.